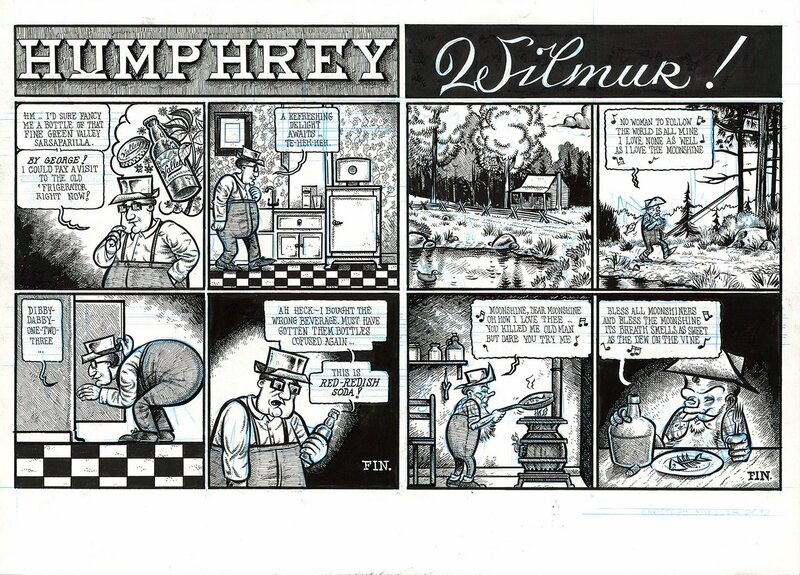 2 4 panel strips on one piece of paper by the great German cartoonist Mueller. Pen and ink on paper, 16 1/2 x 12 inches. Excellent condition. Signed and dated by Mueller.